The first italian single-brand store format developed by Grottini. Grottini Retail Environments developed their first italian single-brand store format for the brand Delsey which is housed in the Outlet Village of Mantua. 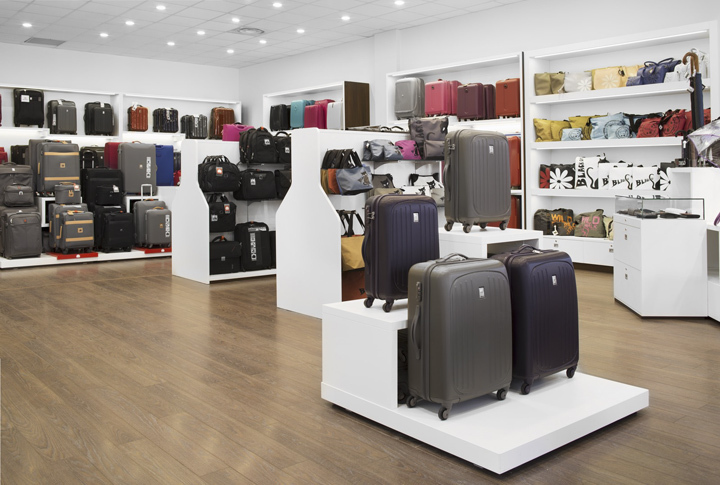 Founded in 1946, Delsey is the symbol of the French luggage world. 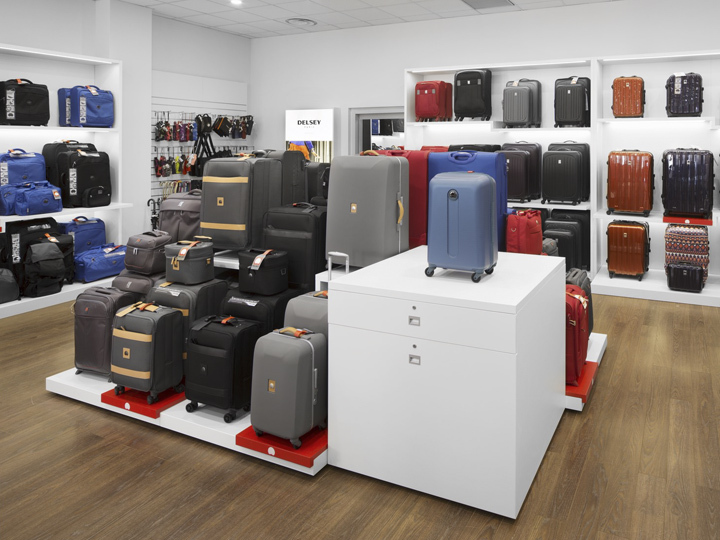 Originally founded as a company specializing in the manufacturing of leather camera and photographic equipment cases, the Parisian brand Delsey launched their first luggage collection in 1970. Since then they have been continuously renewing, with increasingly functional, innovative and lightweight creations recognized worldwide. 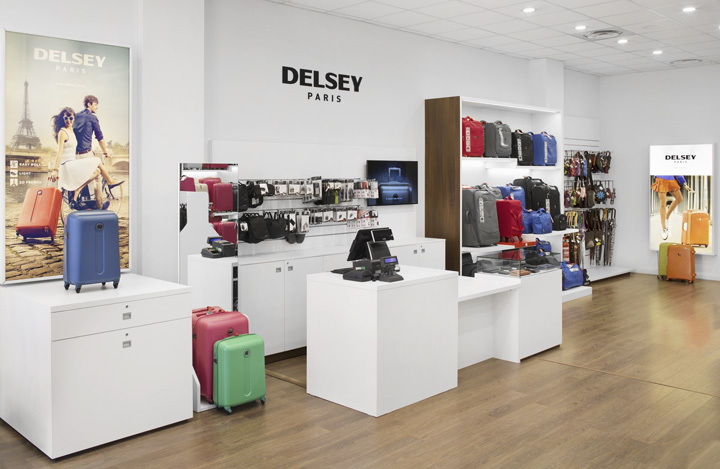 The opening of the new Delsey outlet was a very important event because this is the first italian store format entirely dedicated to this brand. This outlet is a refined space that reflects functionality and great attention to the latest design trends that have always been a characteristic of this French brand.